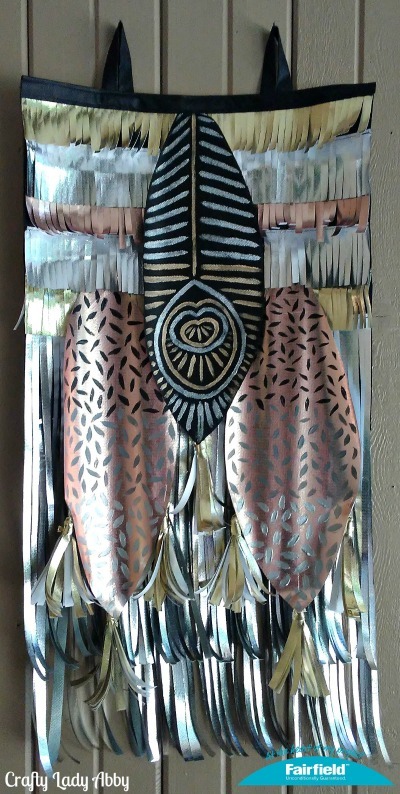 This metallic wall hanging uses Fairfield World OlyFun to create textured fringe, tassels, and feathers. I used fabric paint to add more design elements. This wall hanging looks complex, but it really is some basic cutting for fringe, tassels and feathers. I used sewing for this wall hanging. 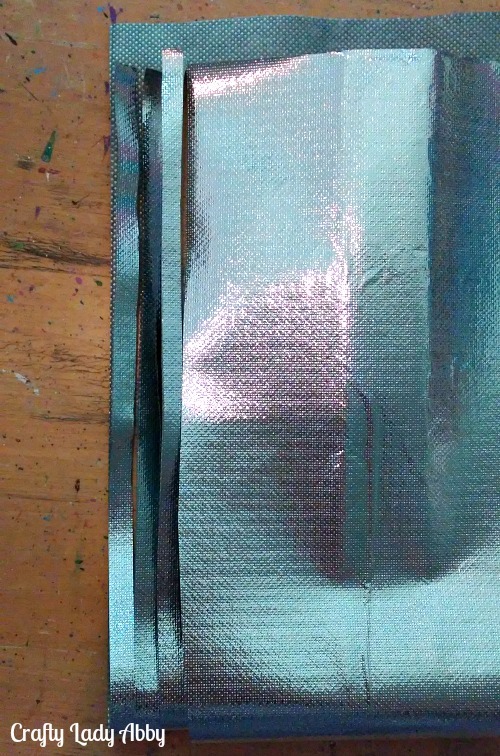 I don't recommend using hot glue for metallic OlyFun when there is weight tension, as over time the foil layer can come detached from the OlyFun layer. Sewing OlyFun is very smooth and normally easy. Fairfield World provided me with their supplies and paid me to create this project. 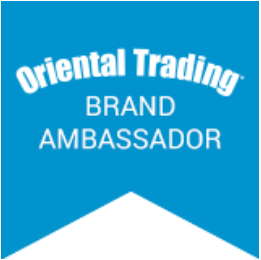 I use Amazon Affiliate links. Any purchases made using those links will result in Amazon paying me a small commision. 1) From Jet Black OlyFun, using the ruler and chalk, draft and cut a back panel that is 18"x18", a top binding that is 2"x18", and 2 tabs that are 9"x2". 2) Starting at the top of the back panel, measure and draw 5 horizontal chalk lines that are 3" down from each other. 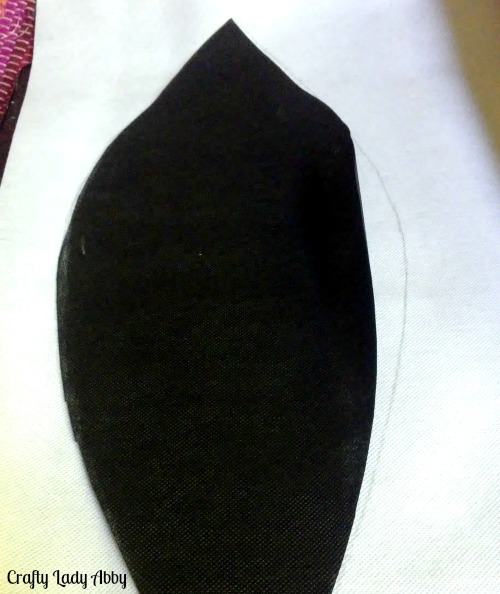 3) With the ruler and chalk, draw out a feather shape on Jet Black OlyFun. Cut out that shape. Use the feather as a pattern, and trace it twice on the back of Rose Gold OlyFun with a pencil or pen. Cut out those feather too. 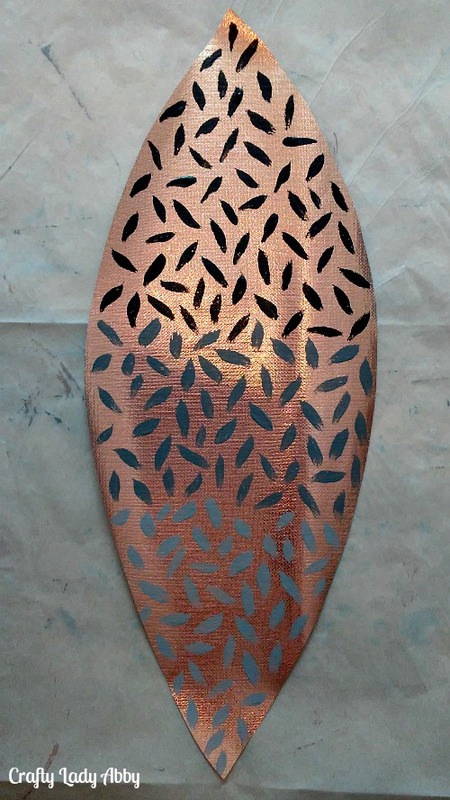 4) Squeeze a little silver, gold and black fabric paint onto the paper plate. 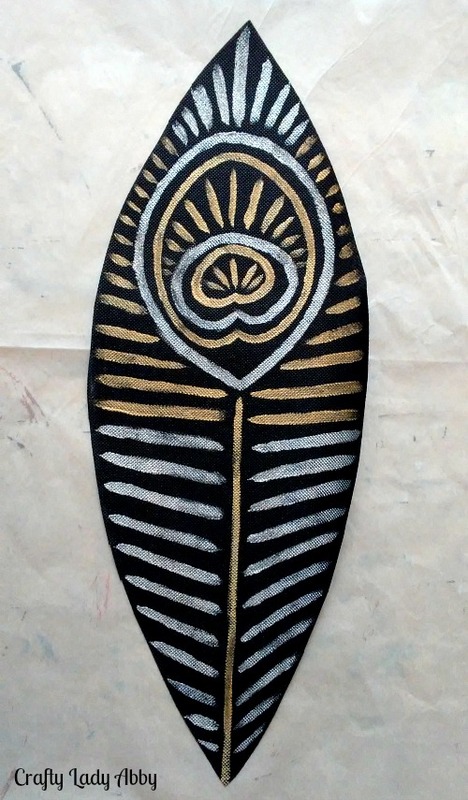 Using a small paint brush, gold and silver paint, create a feather design on the black OlyFun feather. I used a peacock feather as inspiration. 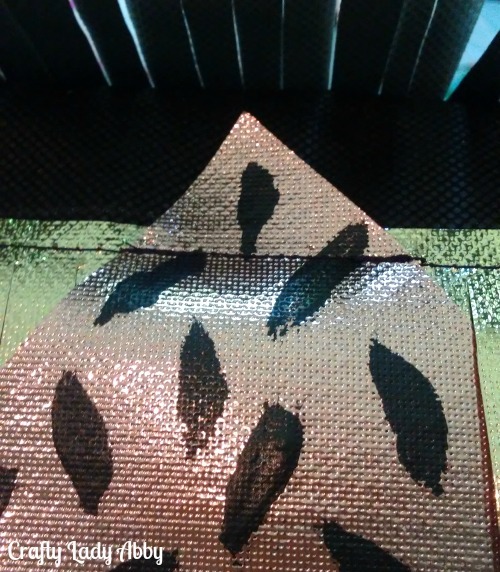 5) On the rose gold feathers, use black fabric paint to make little paint strokes about 1/3 down the feather. Mix white fabric paint and black fabric paint to make medium grey paint. Use medium grey to make more paint strokes in the middle 1/3 of the feather. Mix in more white for a light grey paint. Use light grey to finish making paint strokes on the final 1/3 of the feather. Let that dry. Paint over the light grey strokes with silver fabric paint. 6) For the long fringe, cut two 18"x18" squares from Silver OlyFun. Working one square at a time, fold up one edge, about 1" away from the other edge. Cut thin strips (about 1/4" wide) up the folded square, leaving the top 1" intact. Unfold the strips. Repeat with the 2nd square. 7) For the short fringe, cut 18" x 3" strips, 2 gold, 2 silver, and 1 rose gold. I folded a strip in half twice, so the cutting would go faster. Then, cut strips 1/4" wide, leaving the top 1/2" intact. Unfold the strip. Repeat with the other strips, working one at a time. 8) Thread the sewing machine with black thread. Length the stitch a bit. I set mine at 3.5. Starting at the bottom, add one long fringe section, using straight pins to secure. 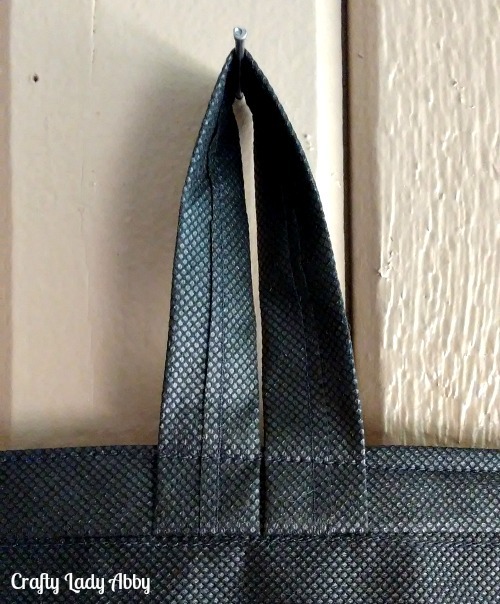 Straight stitch across 1/4" from the fringe edge, removing the straight pins as you stitch. Add the next fringe section along the 1st chalk line headed up, using straight pins to secure. Straight stitch across 1/4" from the fringe edge, removing the straight pins as you stitch. Add a strip of gold short fringe to the next chalk line. Straight stitch across 1/4" from the fringe edge, removing the straight pins as you stitch. 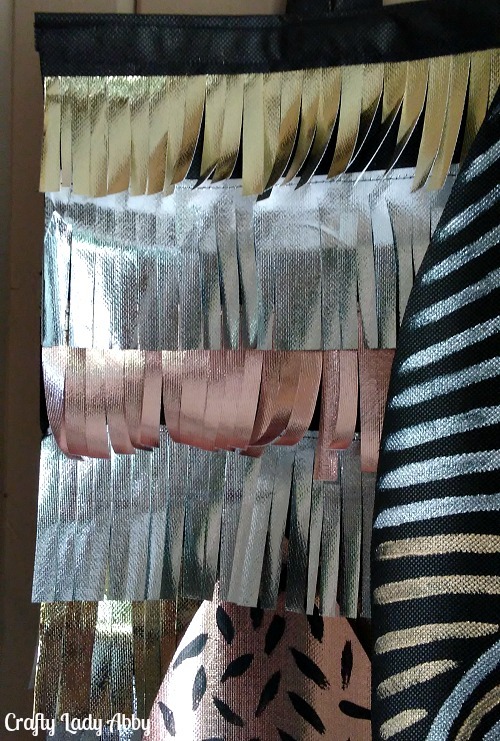 Add and sew the remaining fringe one row at a time in this order...silver, rose gold, silver, and gold. Make sure the final gold strip matches the top of the backing. 9) Center the black feather at the top. Machine stitch across to secure it. Trim the feather top to flush with the fringe top. Add the two rose gold feathers on either side of the black feather, machine sewing them along the 5" fringe seam. 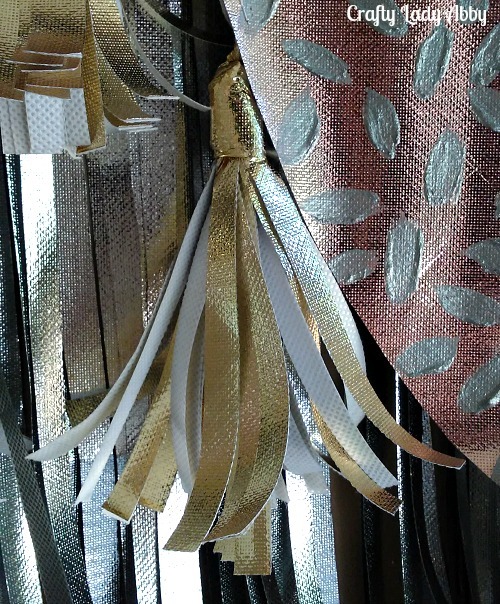 10) For the tassels, I used my OlyFun Jumbo Tassel Tutorial, starting with rectangles that were 10" x 6". 11) Line up the tassels where you want them on the feathers and straight pin the tassel tails on the back of the feathers. For the black feather use black thread and for the rose gold feathers use tan thread. Hand stitch the tassel tails in place. 12) Fold one of the tabs long edges towards the center, overlapping the edges. Straight stitch down the center. 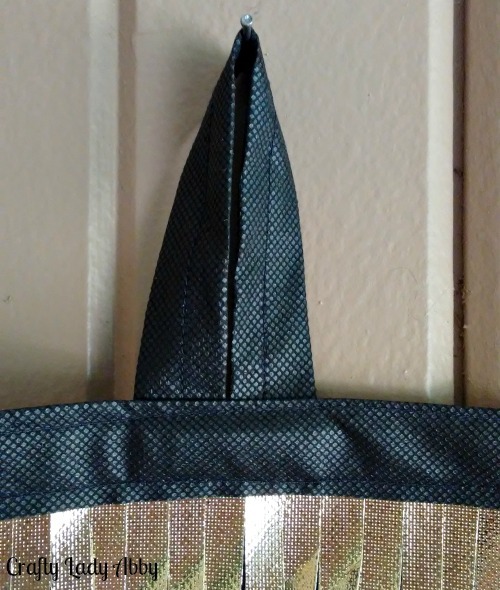 Repeat the folding and stitching with the other tab. On the top of the wall hanging back, 4" from each side, machine sew the tabs looped 1/4" from the top. The tabs should be facing down onto the backing. We'll put them right side up later. 13) Line the binding strip up along the back. Straight pin it in place. Straight stitch along the binding, 1/2" from the edge. Roll the binding towards the front, covering all the top seams. Secure with straight pins. Lift the tabs up and pin in place. Straight stitch along the binding 1/4" from the bottom edge. Straight stitch along the binding 1/4" from the top edge, backstitching where the tabs are. 14) Hang the wall hanging with long nails or cup hooks. Though I photographed this wall hanging outside, OlyFun isn't suitable for long term weather exposure. This wall hanging is going in my underlit bedroom. I'm working on the lighting this weekend. I made this using metallic and black OlyFun, but you could use any of the OlyFun and metallic colors. Also of course fabric paint comes in different colors. I you wanted more sparkle, you could add gems or glitter. OlyFun cuts like paper, so you can use any shape and textured cutting you desire. Whatever you're making, have fun with it. 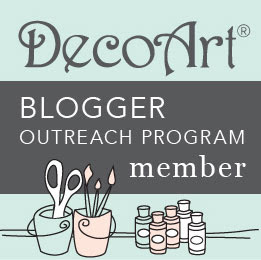 Happy Makery!